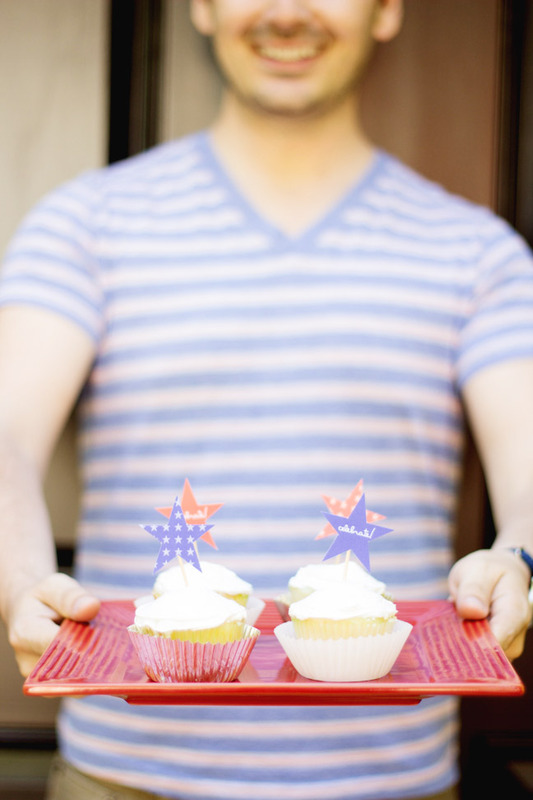 Here's a quick and simple addition for your Fourth of July party that'll take just about no time! 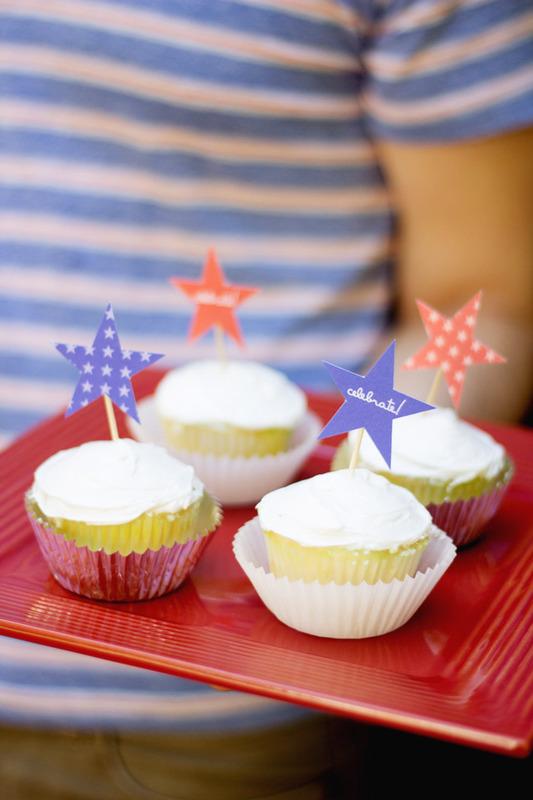 Whip up (or pick up) some cupcakes and use this free printable to dress them up for Independence Day. There's nothing better than a project that adds a little handmade touch but takes just a few minutes. 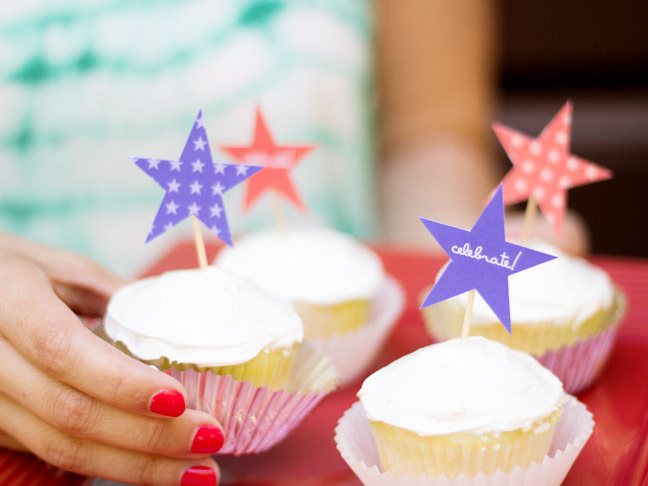 These fun little star-shaped Fourth of July cupcake toppers will keep your snack table perfectly festive! 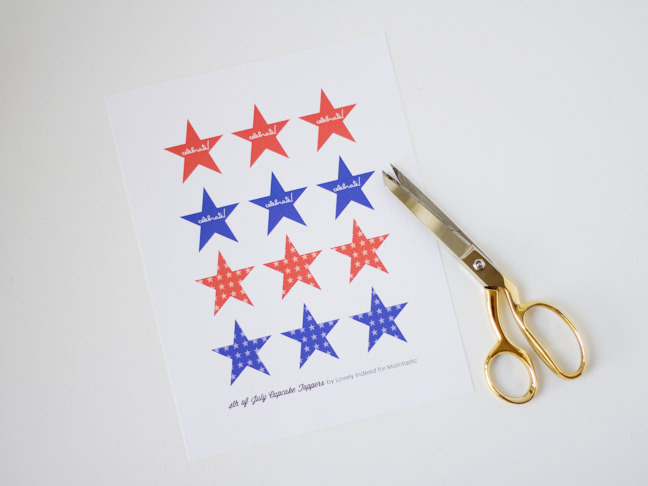 Step 1: Print out the cupcake topper template on white card stock. 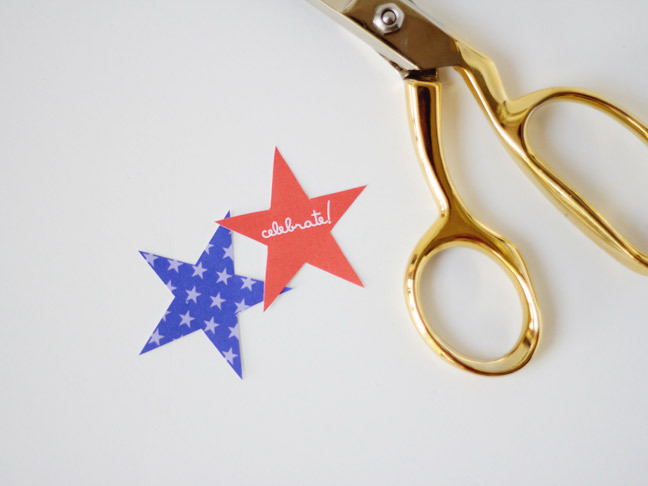 Step 2: Cut out each star on the template. 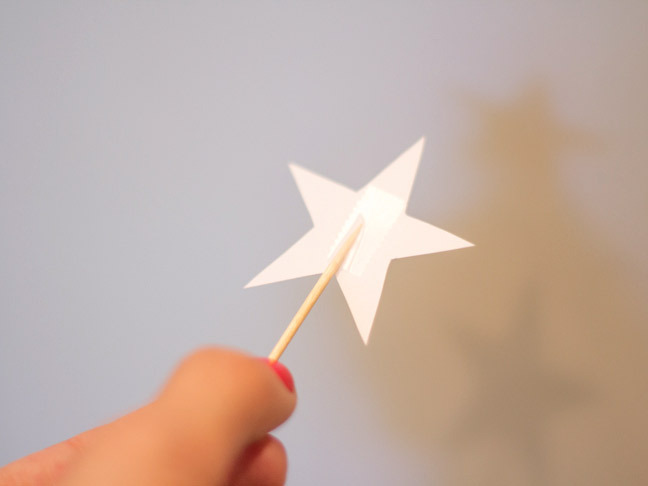 Step 3: Use a small piece of tape to affix a toothpick to the back side of each star. 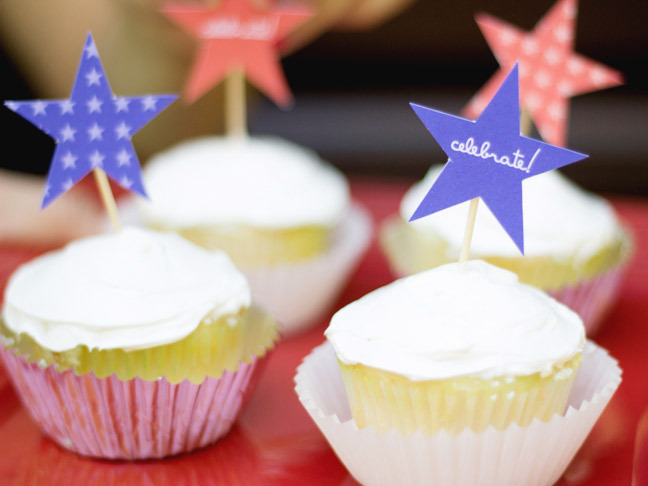 Step 4: Add the stars to the top of your cupcakes and set them out to celebrate! Have a great Fourth!